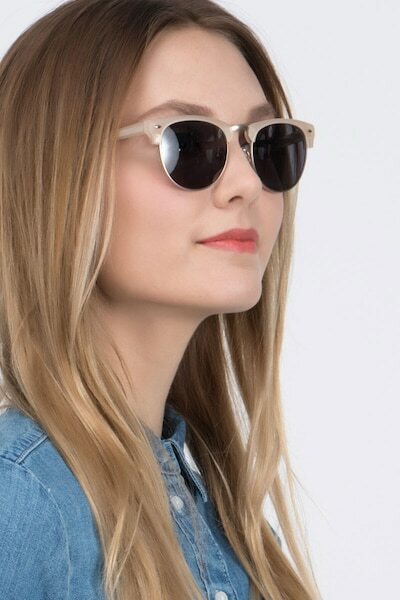 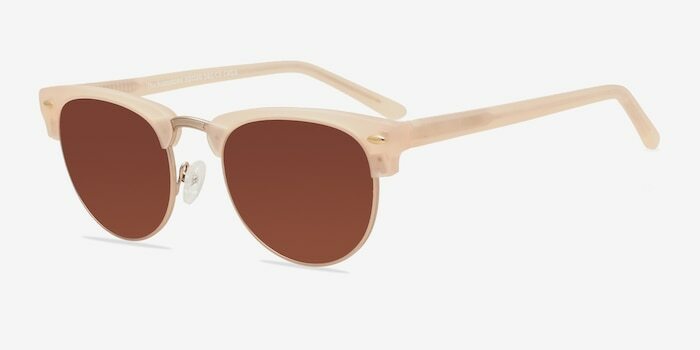 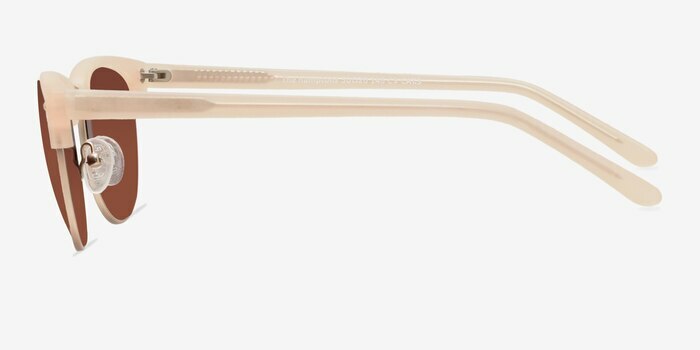 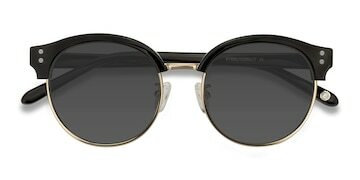 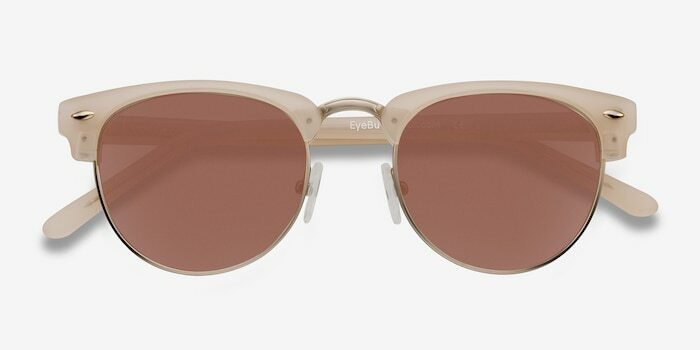 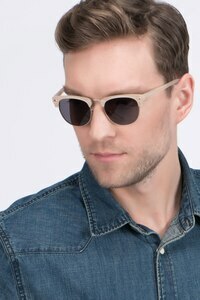 Play up the beach luxury look everyday with these matte beige sunglasses. 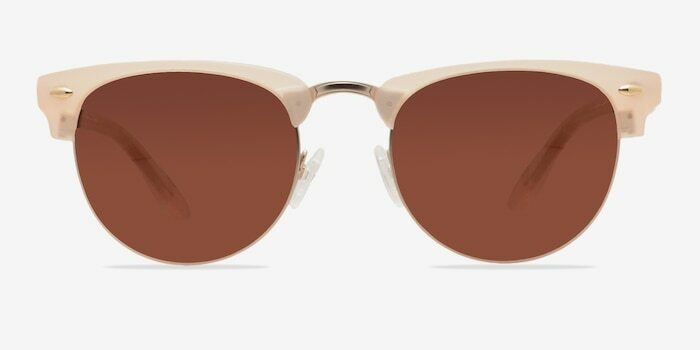 The clubmaster inspired frame boasts an emphasized browline in a semi-transparent matte beige acetate finish that extend to the temples. 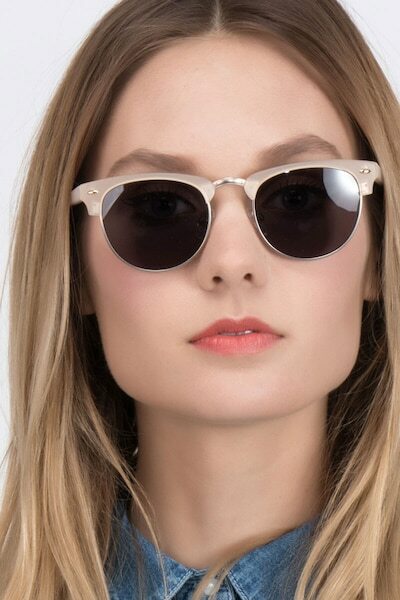 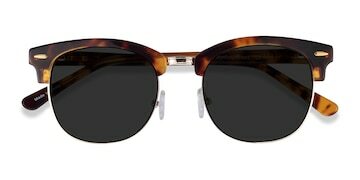 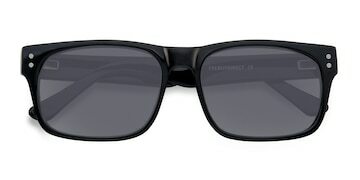 Square shaped lenses, single stud accents, combined with metal detailing create a look that is perfectly on trend.